Rhode Island Name Origin | What does "Rhode Island" mean? USGS topographic map of Rhode Island; public domain image on Wikipedia. 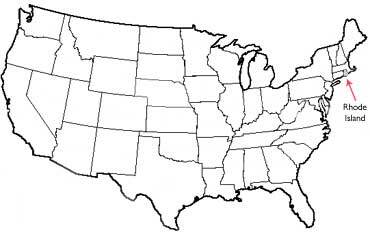 What does "Rhode Island" mean? The first official reference to the island by the English is in these words "Aquethneck shall be henceforth called the Ile of Rods or Rhod-Island." The earliest recorded English colonist text (by Roger Williams) refers to it as "Ilande of the Rodes" (without the "h"). The name "Colony of Rhode Island and Providence Plantations" was adopted in the Royal Charter granted by King Charles I of England in 1633 (the complete name appears on Rhode Island's state seal; "State of Rhode Island and Providence Plantations"). 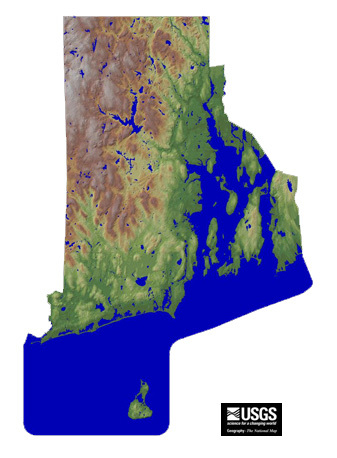 Rhode Island, USA (public domain image). 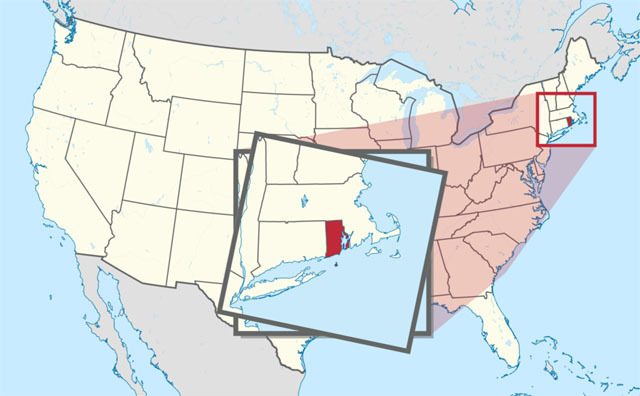 Add Media for Origin of "Rhode Island"